Patchwork n Play: Zakka Pincushion! which I use while hand sewing. which I can hardly bear to stick pins or needles in! 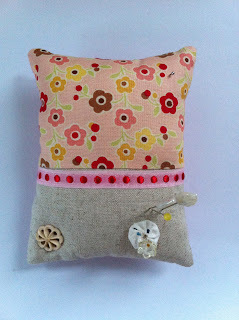 for the Zakka Style Sew-Along! 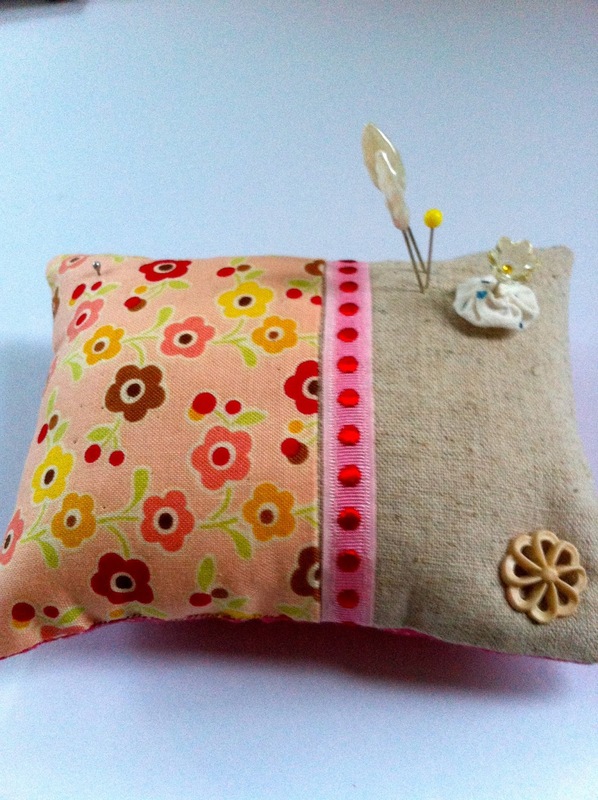 Such a pretty pincushion! Love the buttons and braid! Cute pincushion, why is it called a zacca style? Thanks for sharing these. They are lovely. simple ans sweet . It is very nice, indeed. All of your pincushions are lovely but I am so in love with the one you made! It's just so pretty!! Adorable! 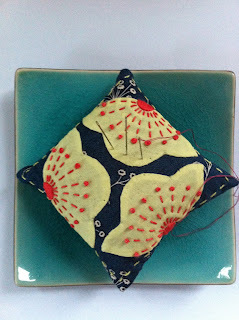 I'm off to make my own Zakka pincushion right now. They're all so sweet Suz!! I especially love your Zakka styled one though!!! Those colours work perfectly in the design!! All are lovely. How many more do you have in your collection? Love all these Zakka items appearing everywhere. 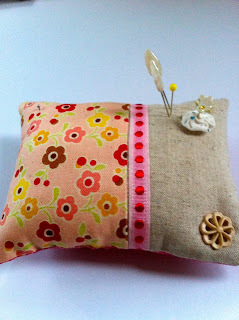 Your pin cushion is lovely. 3 lovely pinnies!! I've got a few around my house and all for different types of sewing. Your new one is so pretty with that lovely ribbon. They are all so cute, I wouldn't be able to stab the goldfish with pins either. Love your Zakka style pincushion. I have just made a bunch to sell hopefully!! They're gorgeous! It's nice to have such pretty things around you while you sew. 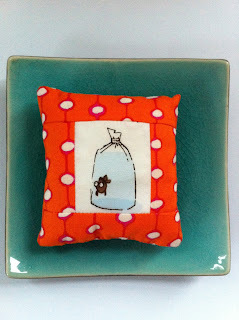 i love the buttons on your zakka cushion! so pretty! Is that a tiny weeny yo-yo at the top? 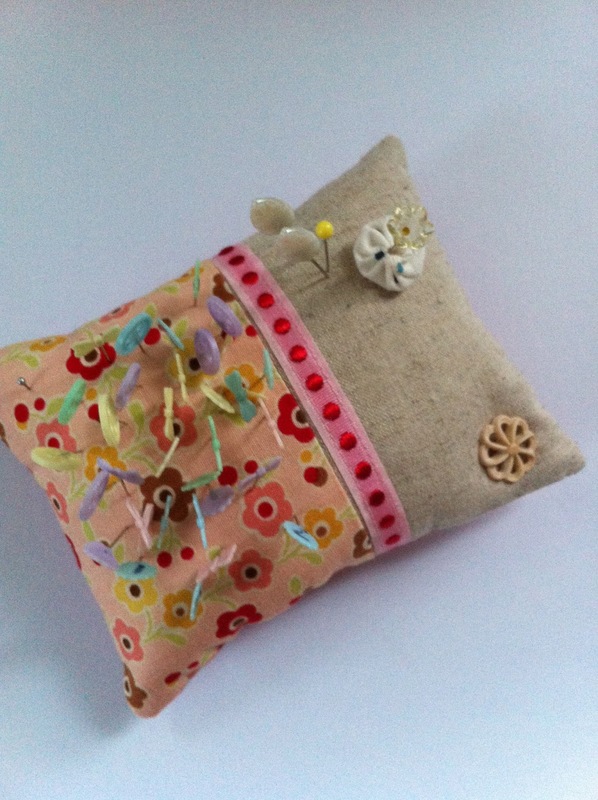 I do too, love pincushions! I have some very special ones my daughter made for me! I enjoyed seeing yours, each one unique! What a great collection and is that a teeny tiny yo-yo on the zakka one? LOVE that!